B&B Kommee Kurki provides you and your family a high quality bed and breakfast accommodation with a natural touch. Our B&B is ideal for 1-5 persons. For booking, go to Prices and booking. 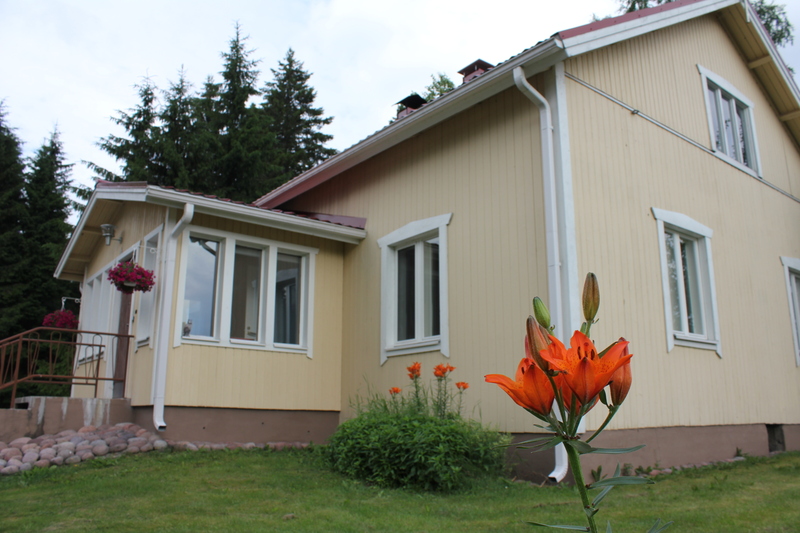 B&B Kommee Kurki is located near several bird lakes in the countryside of Sastamala. This is handy for different kinds of travelling routes: from Tampere it is 60 km, from Pori 80 km, from Turku 120 km and from Helsinki 190 km. You have the whole house for you to enjoy at your own pace! There are bedroom, spacious living room, a well-equipped kitchen and a nice bathroom with an electric sauna in the house. The nearby lake Hanhijärvi is home to cranes and whooper swans so you can admire their impressive overflights until late autumn. For more information or to make a direct reservation, call to +358 50 378 9208 or send email to info@kommeekurki.fi.